Voting in 91 constituencies across 18 states and 2 UTs is underway. Readers can watch live streaming of the same on India.com. 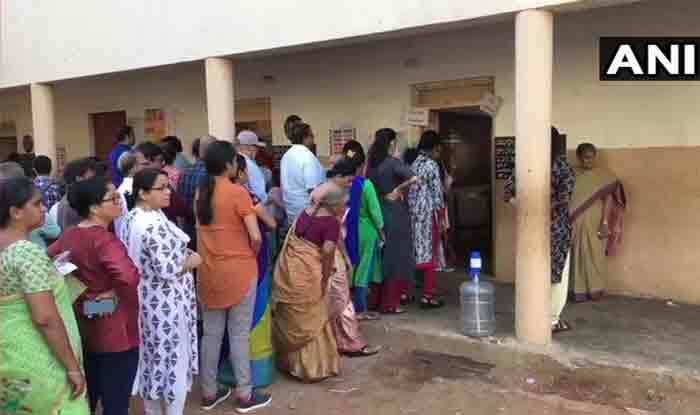 New Delhi: The voting in 91 constituencies across 18 states and two Union Territories (UTs) began at 7 am on Thursday, April 11, for Lok Sabha Elections 2019 phase 1. Voting is also underway in 175 assembly seats in Andhra Pradesh, 32 in Sikkim and 28 seats in Odisha. The counting of votes will be held on May 23. The readers of India.com can now watch the ONLINE LIVE broadcast of first phase polling of Lok Sabha Election 2019 online on Zee News. Watch Live Streaming of Lok Sabha Election 2019 phase 1 polling HERE. Polling in all 25 Lok Sabha constituencies of Andhra Pradesh, seventeen in Telangana, five in Uttarakhand, two in Meghalaya and two in Arunachal Pradesh besides lone seats in Mizoram, Tripura, Manipur, Nagaland, Sikkim, Andaman and Nicobar, and Lakshadweep is being held. Voting for the 543 Lok Sabha seats is be held in seven phases: April 11, April 18, April 23, April 29, May 6, May 12 and May 19. The counting of votes will be done on May 23.